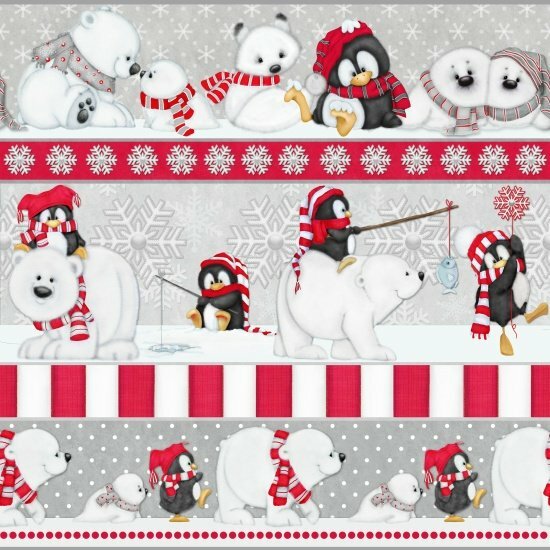 Artic Antics flannel border stripe features baby penguins, polar bears, seals and other artic animals in red, white, gray and black. Designed by Shelly Comiskey for Henry Glass. 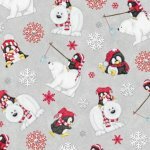 100% cotton 43"/44" wide. Note: This border strip only has 3 complete repeats that are approx. 12" wide.